Bring creative play into your memory keeping with the art of brush script. 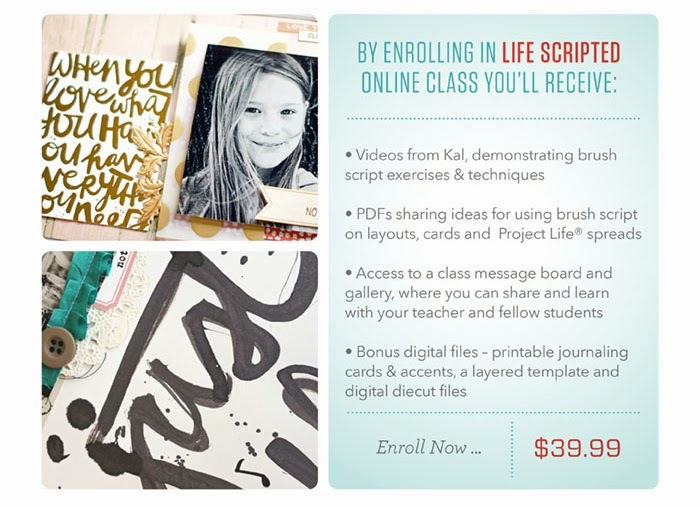 This month renowned artist, Kal Barteski, brings her popular class on brush script to the Calico Classrooms. Learn the ins and outs of brushes and inks to take a variety of projects to the next level with your own handwriting. Our Creative Team members will join in to inspire you how to incorporate your new skills into your pages and projects for 2014. 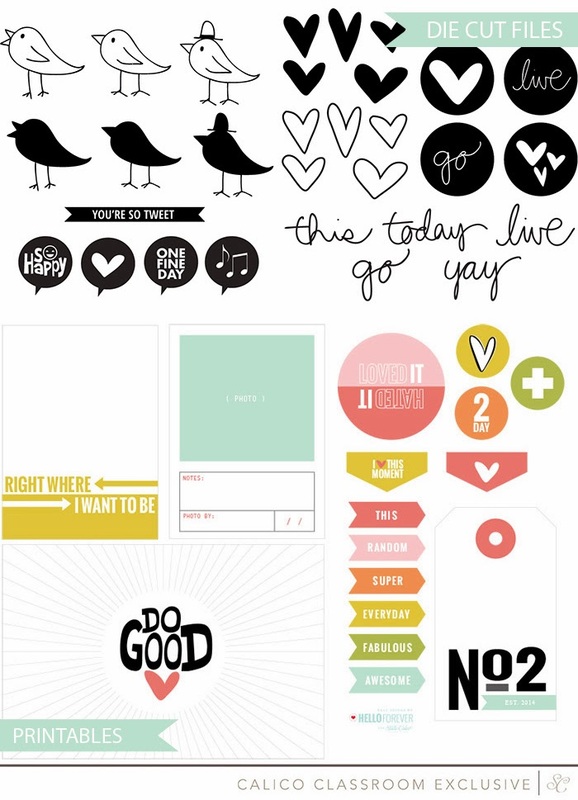 Here's a look at the digital files you'll receive when you enroll! 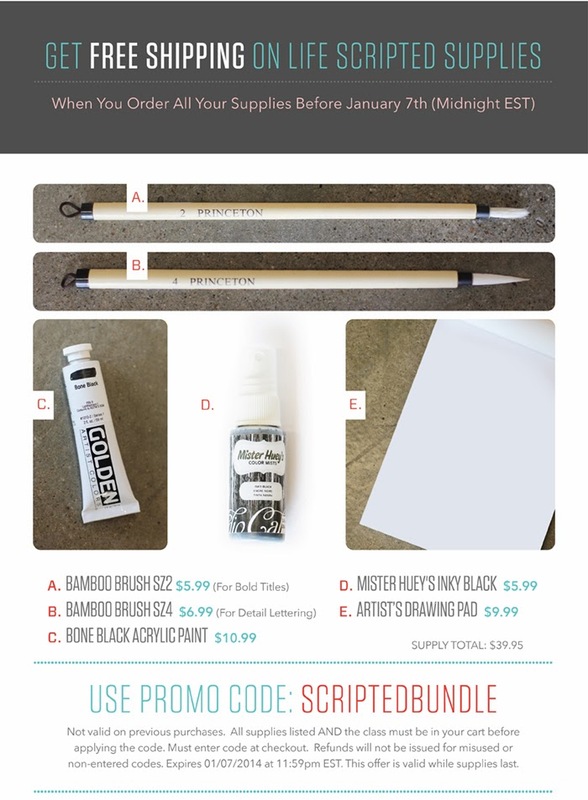 If you order class supplies at the same time that you enroll in the class, you can get free shipping with the code SCRIPTEDBUNDLE. See below for details. Class begins February 1st. I'm so excited about this class and I can't wait to learn a new technique! Hi everyone! It's time for the reveal of Studio Calico's January kits, Copper Mountain! They are on sale now if you are a subscriber, and at midnight Eastern if you aren't. I think you will love these kits as much I did! 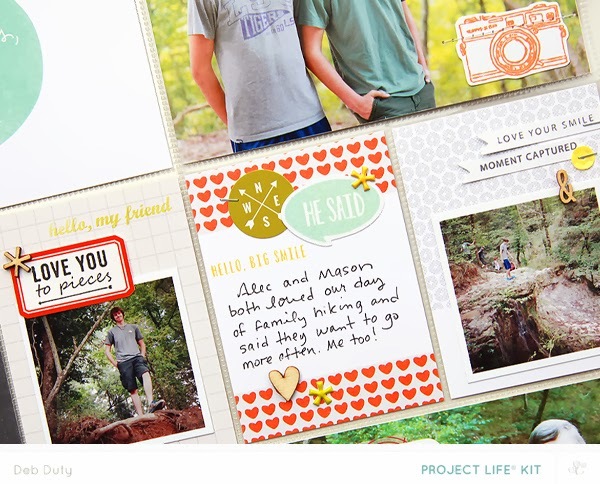 The Project Life kits have the cutest cards and they are full of so many fun embellishments. The card kit is amazing. 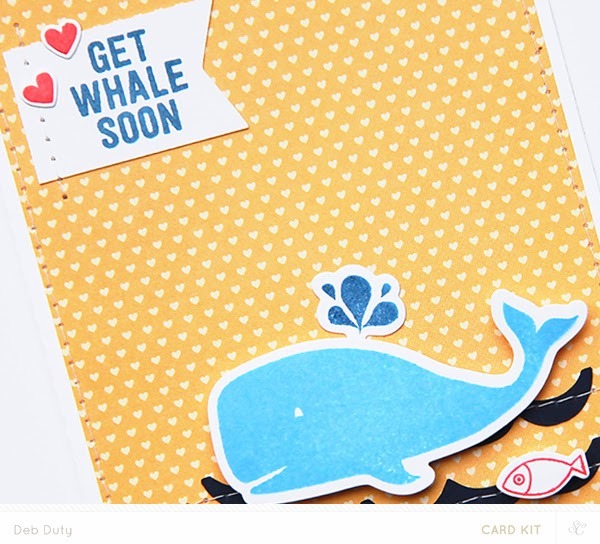 I'm in love with the little whale stamp and the sentiments, and it even comes with a set of dies. I had so much fun with it!! 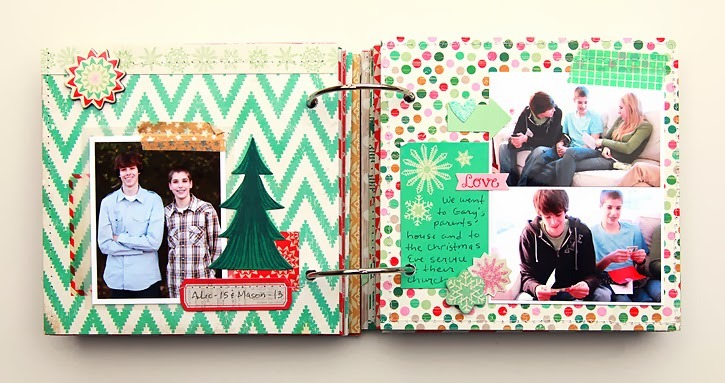 I used mostly the two Project Life add-on kits, Union Meadows and Storm King, on my second spread. This spread is different from what I usually do because it documents only one day instead of a week. We all four went hiking at Tunica Hills, and it was such a fun, memorable day that I wanted to include lots of photos and details in my album. 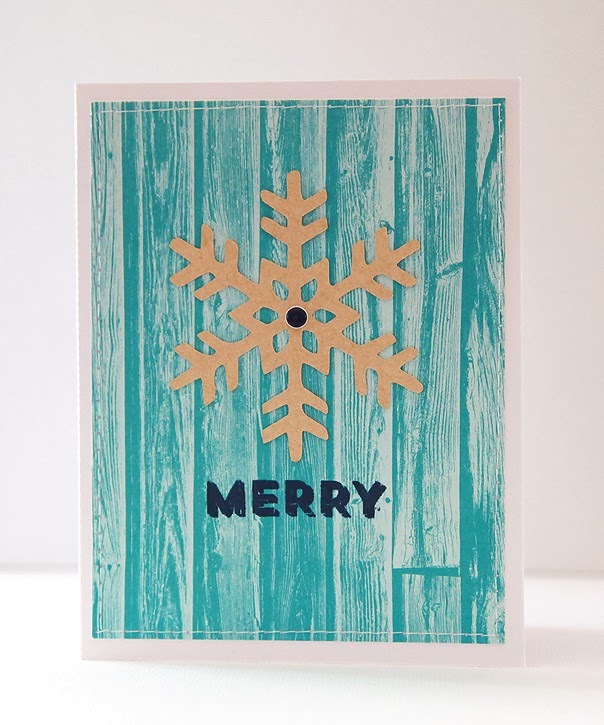 Next I had a blast making cards with the Copper Mountain card kit and add-on kit, Spaulding Bowl! The main card kit has the cutest stamp set. I love the whale and the fish, and the matching dies are awesome! There's even a die to cut out the "hello" stamp. I also used the dies to cut out the whale, heart and water spout for this card. 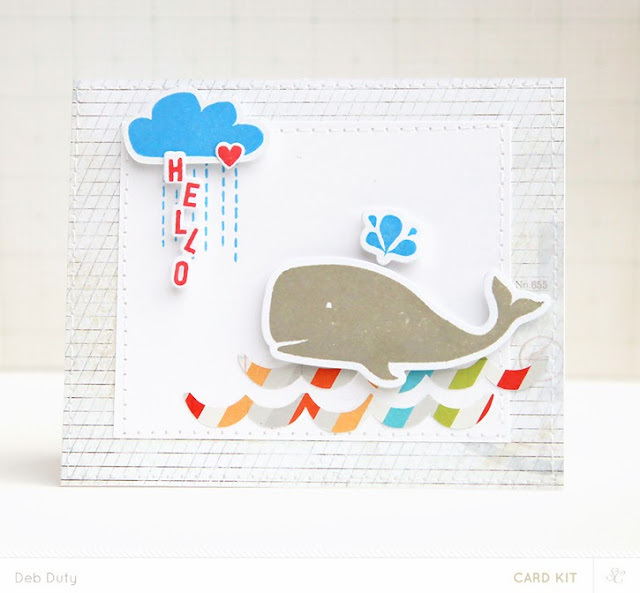 I used the card kit digital stamp files to cut out the cloud and the waves. 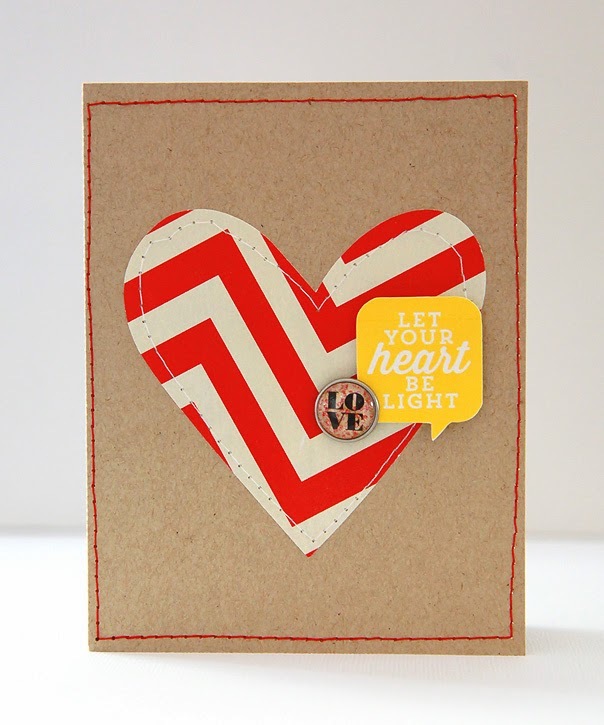 The colors are bright and happy and there are such cute embellishments in the card kit this month - star buttons, a grey and a red "hi" cameo, and blue striped candy dots! 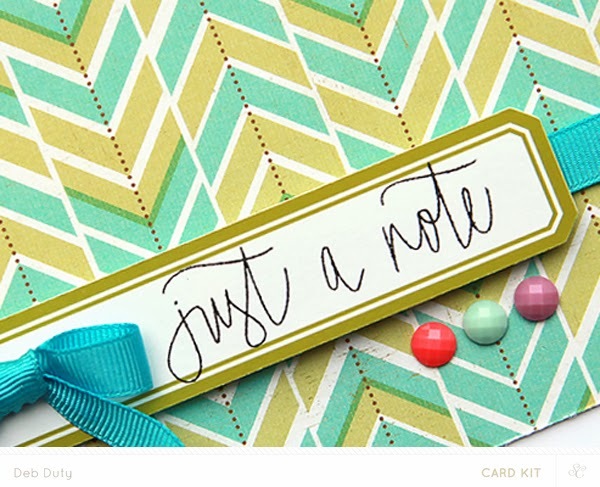 This card uses mostly supplies from the main kit, but the "thank you" stamp is from the Spaulding Bowl add-on kit. I made nine cards total with these two kits! You can check out my Studio Calico card gallery to see the rest. I still haven't started on this year's Christmas album... I guess that will have to be for after Christmas... 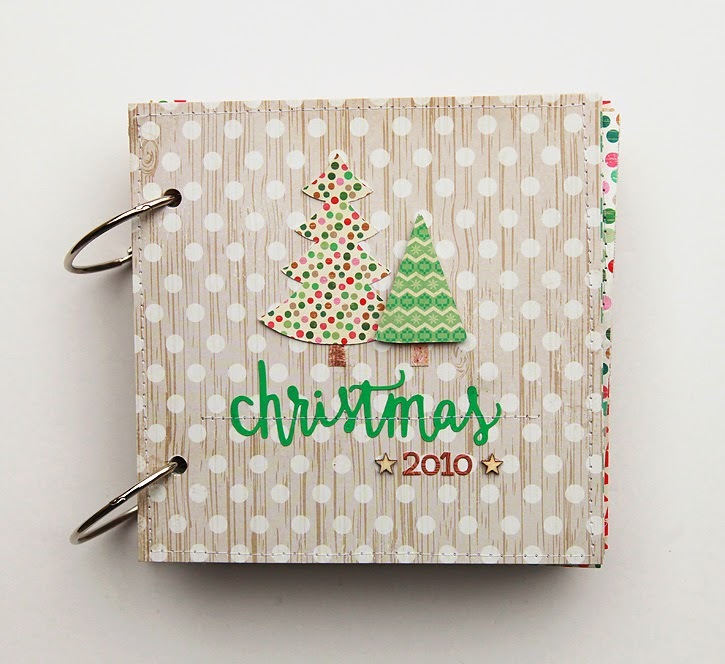 But a few weeks ago I created a little minibook documenting Christmas 2010 using Crate Paper's adorable Christmas collection, Bundled Up. 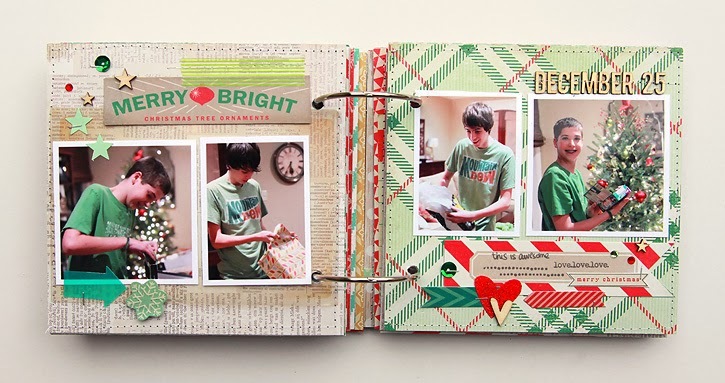 There are so many cute elements in this line and the patterned papers are just perfect. 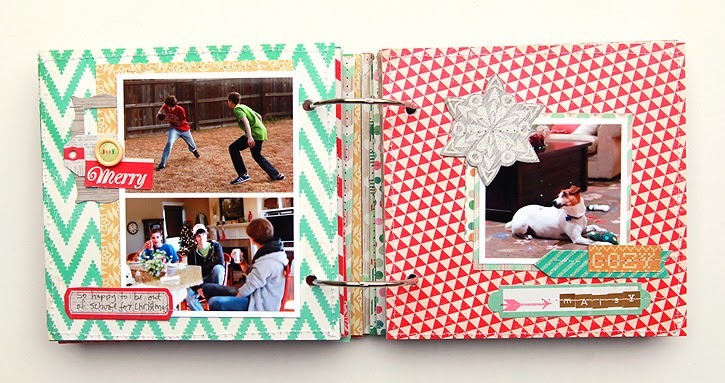 I just love the colors and the patterns and had so much fun using them for this minibook! 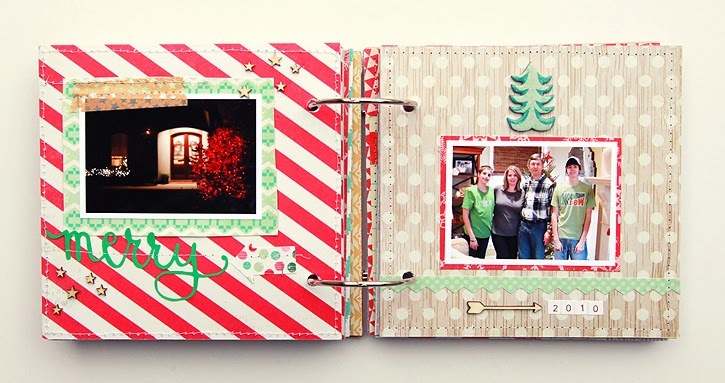 The base for my minibook is a pre-made chipboard album that I bought at Hobby Lobby. I think it's by Tim Holtz. I cut my patterned paper to fit, and lined it up with the pre-punched holes on the chipboard. Then I used a hole punch to add holes to my paper. 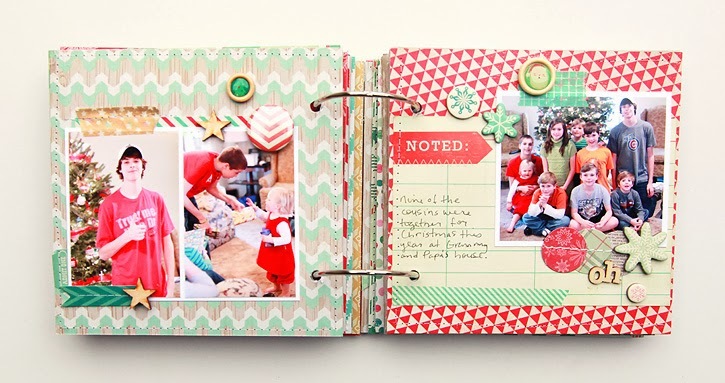 I completed each page with photos and embellishments and a little stitching before lightly attaching them to the chipboard with a gluestick. Then I sewed them in place to make sure they are secure. On the cover I used this file from the Silhouette store to cut out tree shapes and a cut file by Paislee Press for the title. 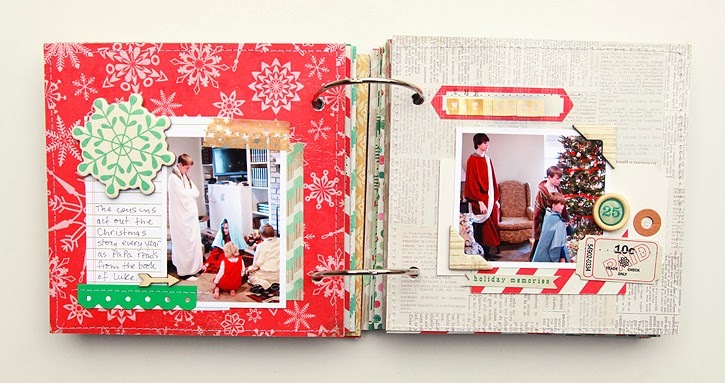 The inside of the album includes lots of photos from Christmas Eve and Christmas Day, plus a few from the days leading up to Christmas. 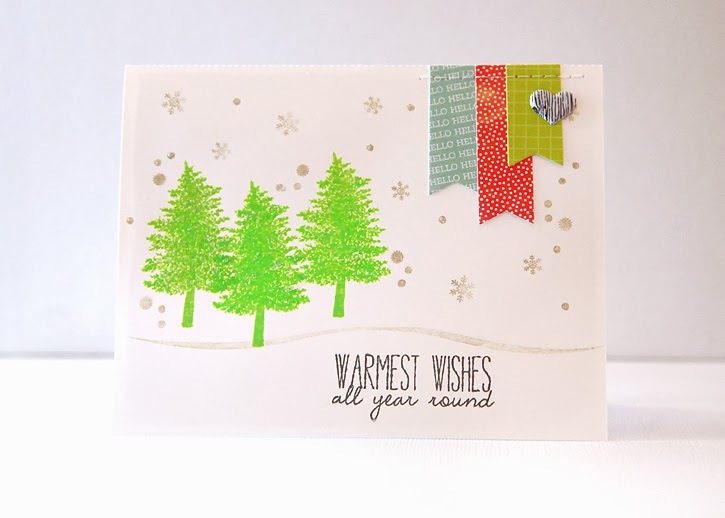 I have a few more cards to share made with Studio Calico's December kits, Blue Note. I cute the heart out with my Silhouette, and stitched around the edges. Plus I stitched around the edges of the card in red. 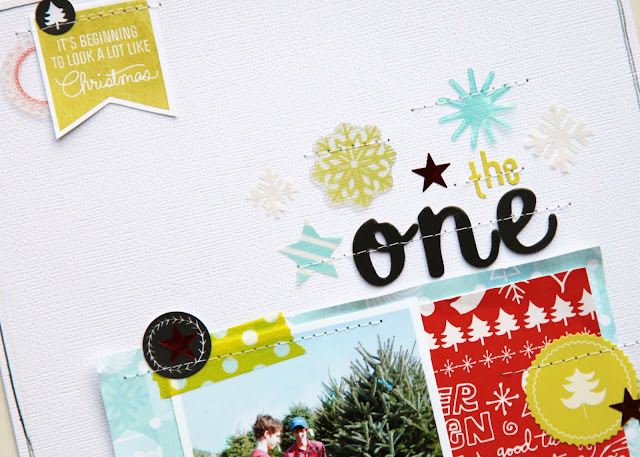 The yellow speech bubble is from the December printables. 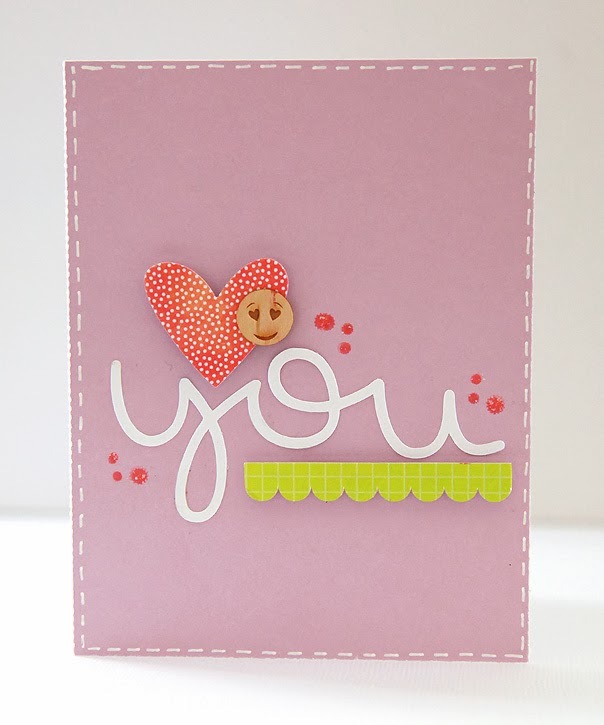 I cut out the heart, border, and "you" and added some stamped dots. This card is based on April's gorgeous card! 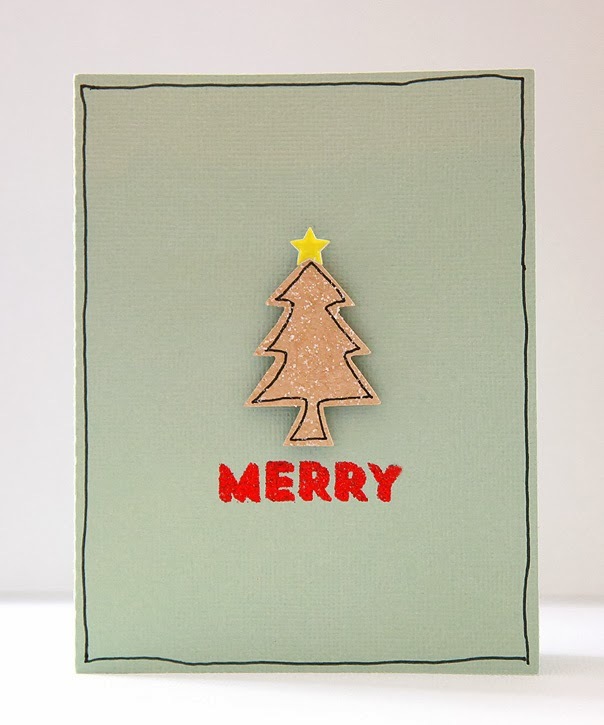 I embossed the sentiment with gold glitter embossing powder. 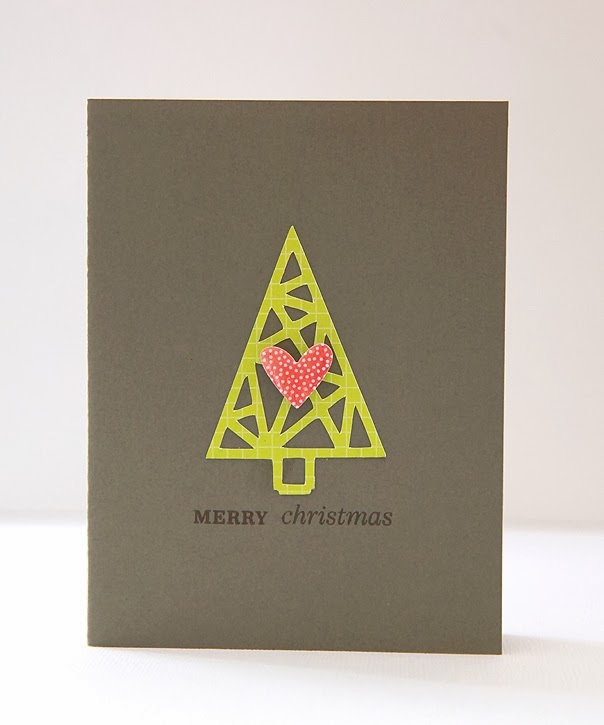 And one last simple card with a little stitching and a stamped sentiment. The cute pink flower is from the Blue Note card kit. 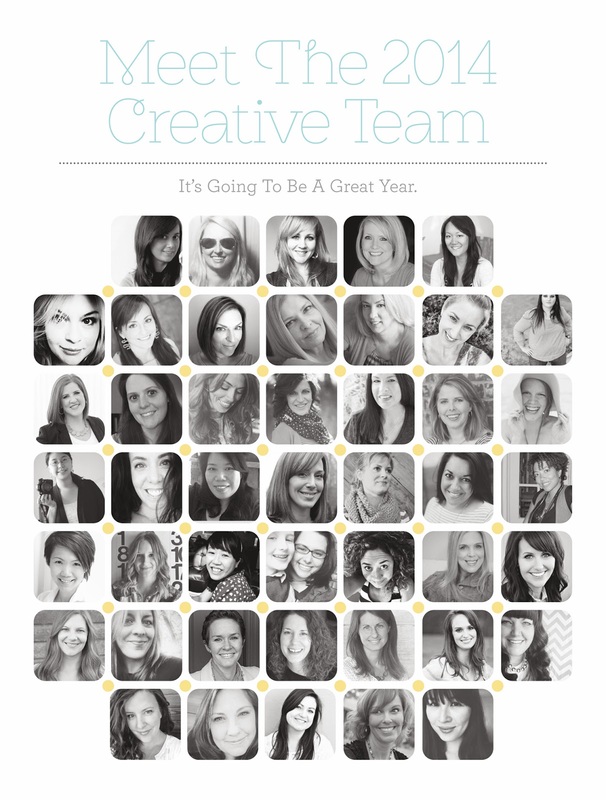 It's time for a new year, and time for Studio Calico to announce its 2014 team! I'm so happy to spend another year with my favorite company along with all of these talented girls! Check out the Studio Calico blog announcement for links to everyone's blogs if you'd like to get to know them a little better. 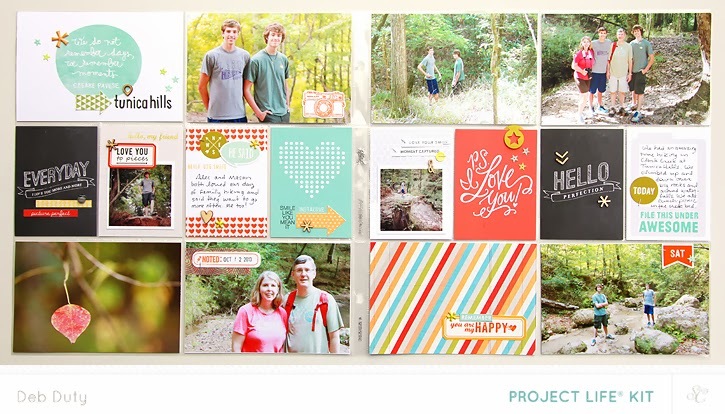 I'm super excited because not only will I be continuing with the Project Life kit, but I'll also be creating cards each month with Studio Calico's wonderful card kits! 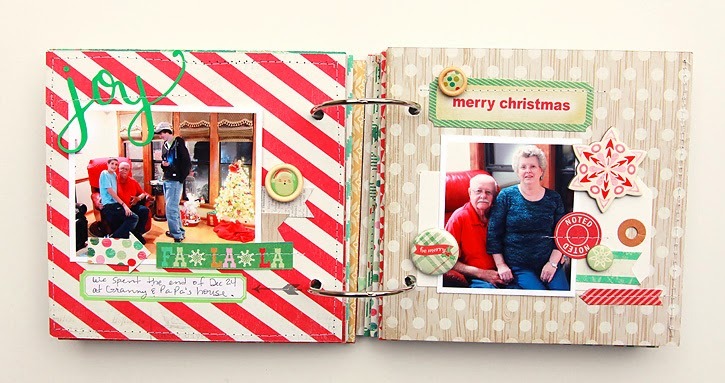 I've already started working with January's Project Life and card kits and they are so much fun. I don't know how Studio Calico manages to astound me every single month, but the kits just keep getting better. This one shows only the main Project Life kit. There are a lot of embellishments in this kit and wood veneer alpha and really beautiful cards! 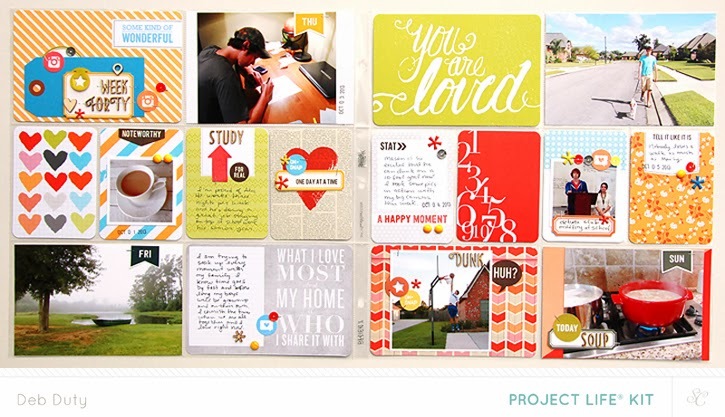 This sneak shows cards from the two add-on Project Life kits (yes two add-ons this year!) and the add-on stamp in action. I can't even tell you how much I love January's card kit. It has my new favorite stamp set. I had no idea that I love whales so much, but apparently I do because that little whale stamp is the cutest!! And it even includes clever sentiments like "Get Whale Soon". I didn't think I liked puns either, but come on... that is just too cute!! One last sneak, and this one is from the card add-on kit. It includes a cute book-themed stamp set and some really pretty patterned papers along with embellishments. 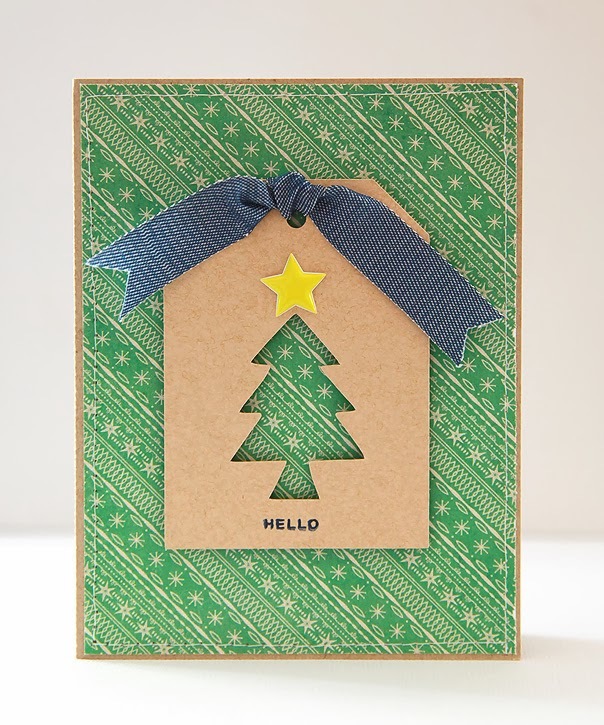 You can check out sneaks of all the kits on Studio Calico's sneak page. The January kits will go on sale December 27th. Or you can sign up for a subscription to the main scrapbook, Project Life or card kit starting with December's kits here. I'm sharing a Christmas layout today, but first I want to let you know I'm giving away the stamp from Studio Calico's December Daily kit on instagram! You have until Friday to enter and you can find out how on instagram. My username is @debduty. After I layered patterned paper and my photo, I drew a black line around the edges, and added stitching to my title and embellishments. 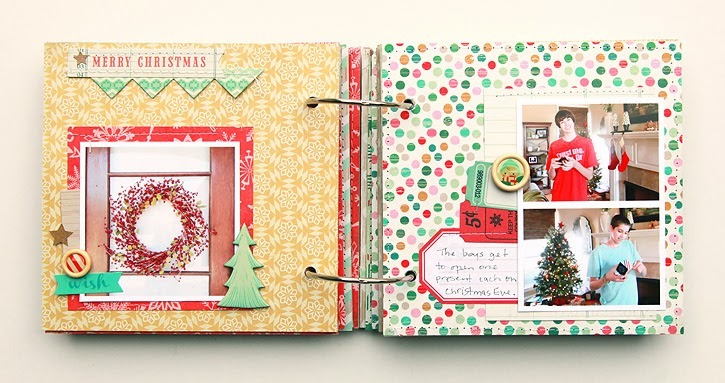 Be sure to check out the Studio Calico member gallery for inspiration for Christmas scrapbooking and December Daily. There are lots of gorgeous projects to see!! I am really enjoying making cards lately... it's so much fun! I have a few to share today made with the Studio Calico Blue Note kits. 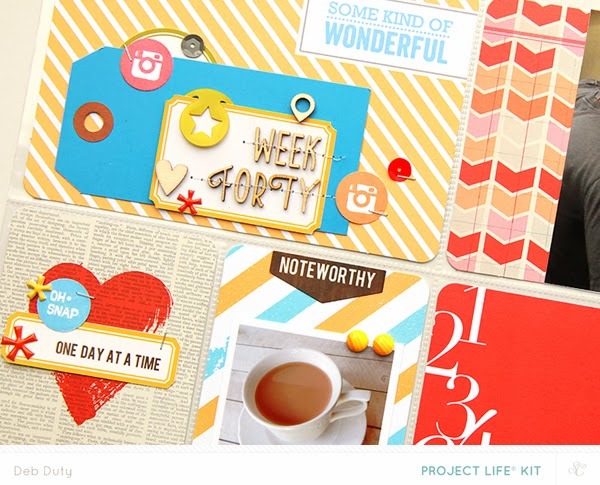 The scrapbook, card and Project Life kits are all still available. I also used some of the printables and cut files from the digital shop which are available until December 27. 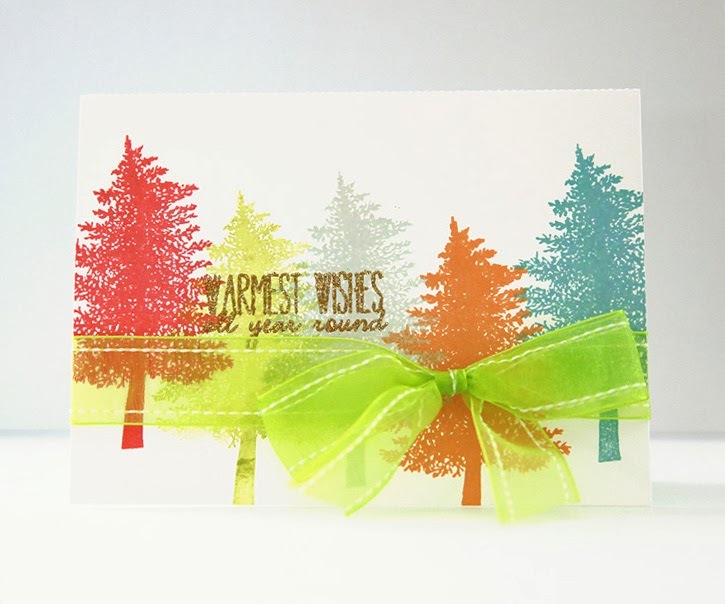 If you haven't tried making cards yet, you should! The card kits at Studio Calico make it so easy to get started and they are filled with gorgeous papers, embellishments and stamps!